I don’t know what it is about indie music this year, but the lines are more blurred than ever and I love it. 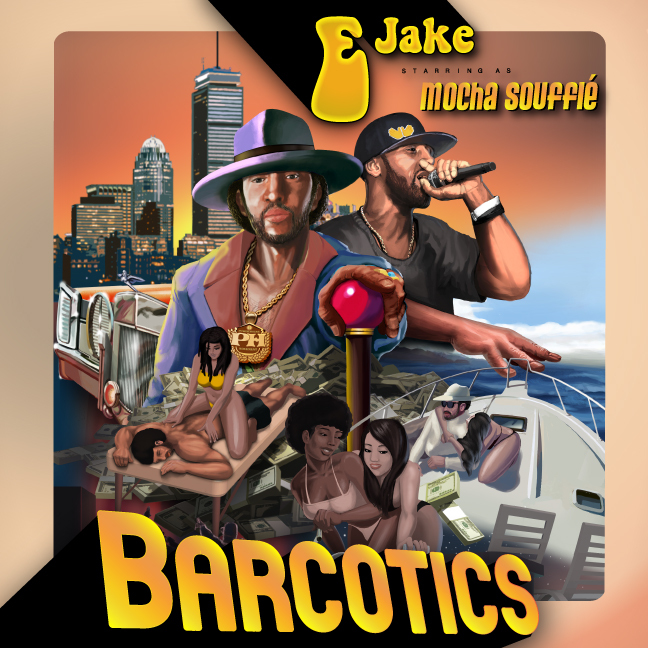 The latest example of this is in Massachusetts emcee E Jake on his 8th independent album “Barcotics”. From the jump E Jake makes it clear that he’s trying to educate you about the street life while also keeping the listener grounded as to not glamorize it. Production (handled by Yung Nab) is a mix of radio and “underground” and lyrically E Jake takes a multitude of flows and approaches to the music it’s hard not find E. Jake catchy yet provocative at the same time. Check out the video for “Crime Pays” featuring Conway. The album features recent Shady Records signee Conway, Corner Boy P and is entirely produced by Yung Nab. You can stream the entire project below brought courtesy of Power House Movement.